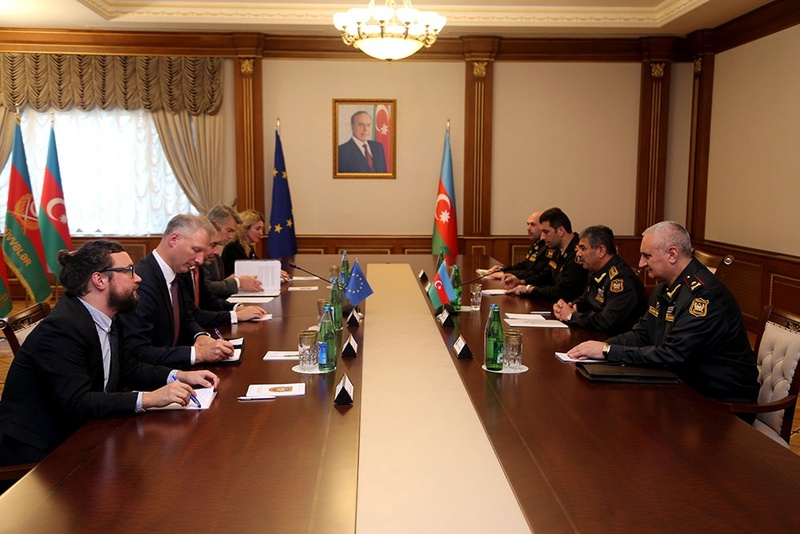 On November 7, the Minister of Defense of the Republic of Azerbaijan, Colonel General Zakir Hasanov has met with a delegation headed by Toivo Klaar, European Union Special Representative for the South Caucasus. During the meeting that discussed the current situation on the front line, Colonel General Z. Hasanov has once again stressed that Armenia is occupying 20 percent of the territory of Azerbaijan that is recognized by the international community and added that the negotiation process remains to be ineffectual so far. The Minister emphasized that Armenia's destructive position is the main obstacle in achieving progress in settlement of the conflict. Armenia, following the norms and principles of international law, must immediately and unconditionally withdraw the units of its army from our lands to resolve this conflict as soon as possible. T. Klaar, in turn, noted the importance of an early and peaceful resolution of the conflict to ensure stability in the South Caucasus region and stressed that the EU is a supporter of continuing negotiations in this sphere.